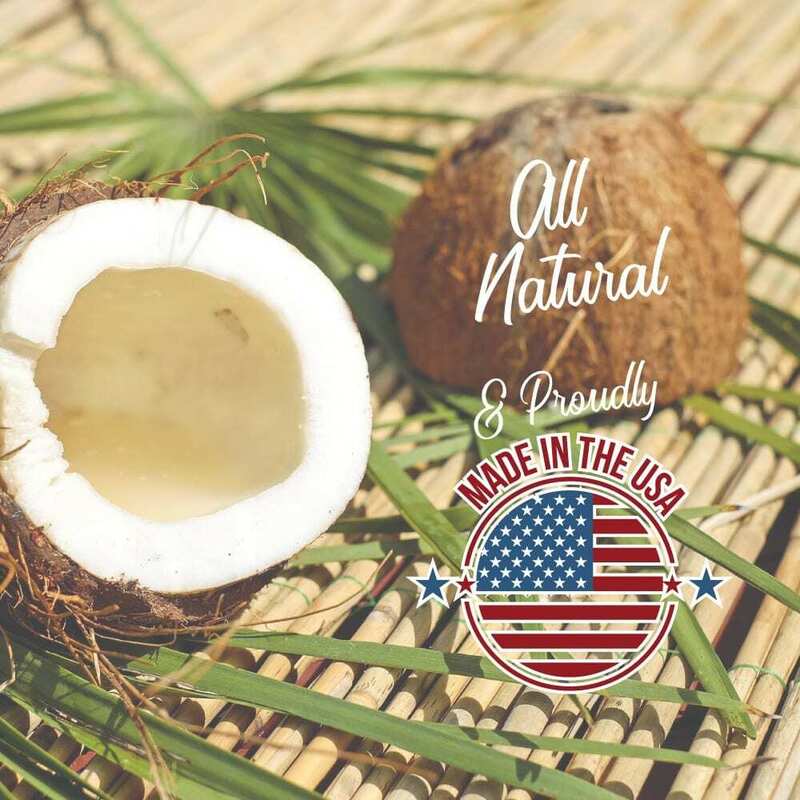 Beautiful Skin, Hair & Nails: Coconut oil is naturally rich in antioxidants and Lauric Acid, which helps regenerate hair, and nourish your skin and nails with its naturally high MCFA levels. 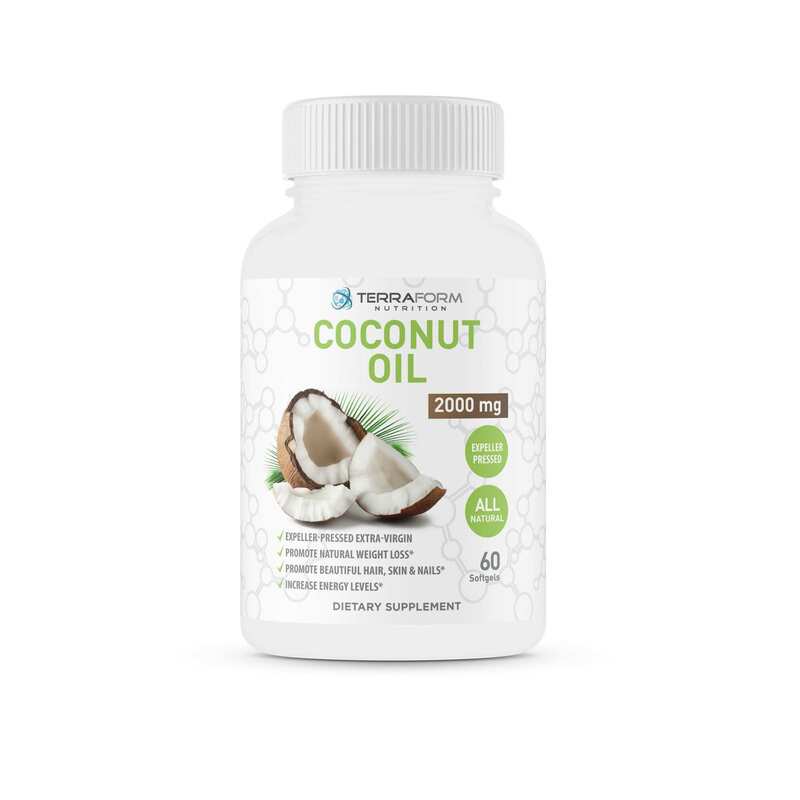 Supports Weight Loss & Naturally Boosts Energy/Mood: The same coconut oil properties that support your skin, also boost your mental focus and mood, while the beneficial fats help with digestion and weight loss when consumed daily. Coconut oil contains a number of healthy saturated fats, all of which have different effects than most of the fats in your standard diet. 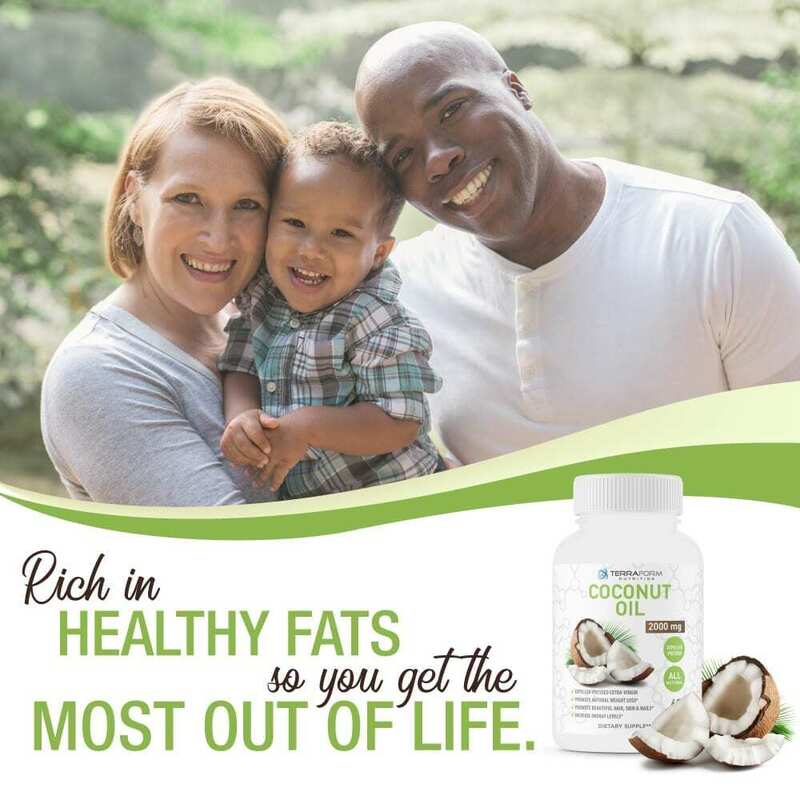 These fats give your body and brain a boost of quick energy, as well as boost your body’s natural fat burning abilities. 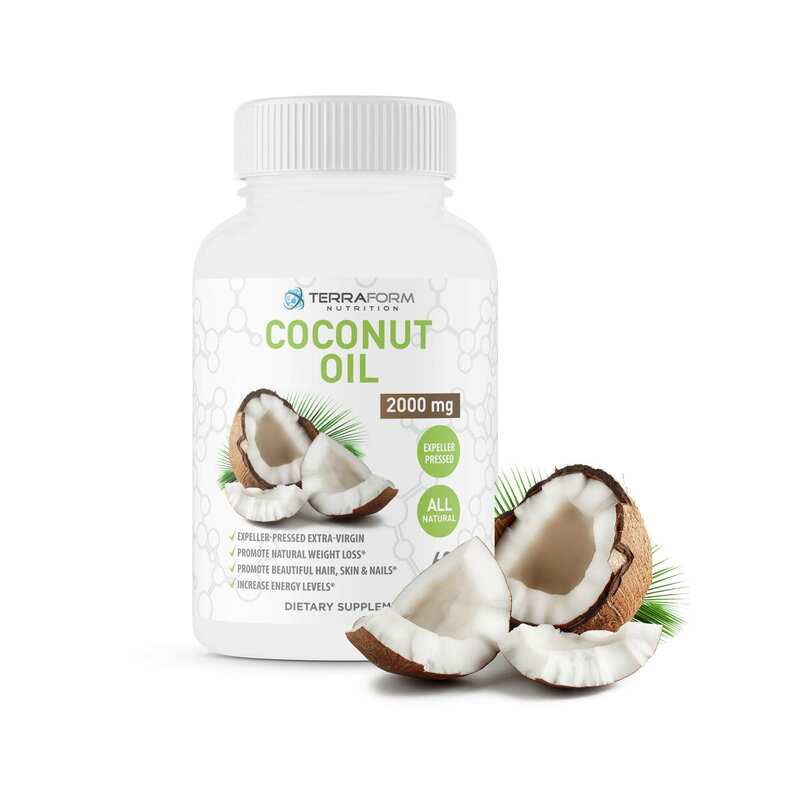 The standard fats you typically consume are long-chain triglycerides, but the ones in coconut oil are medium chain triglycerides, which flow straight to the liver*. 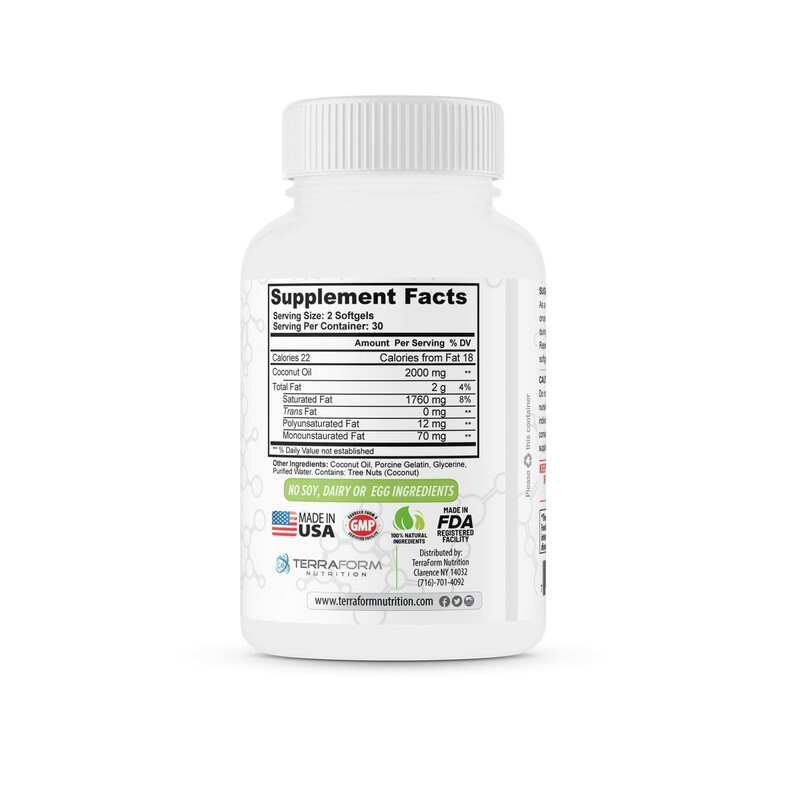 In turn your liver breaks these down as a source of quick energy, or turns them into ketones, which benefit the brain, and your body as a whole*. 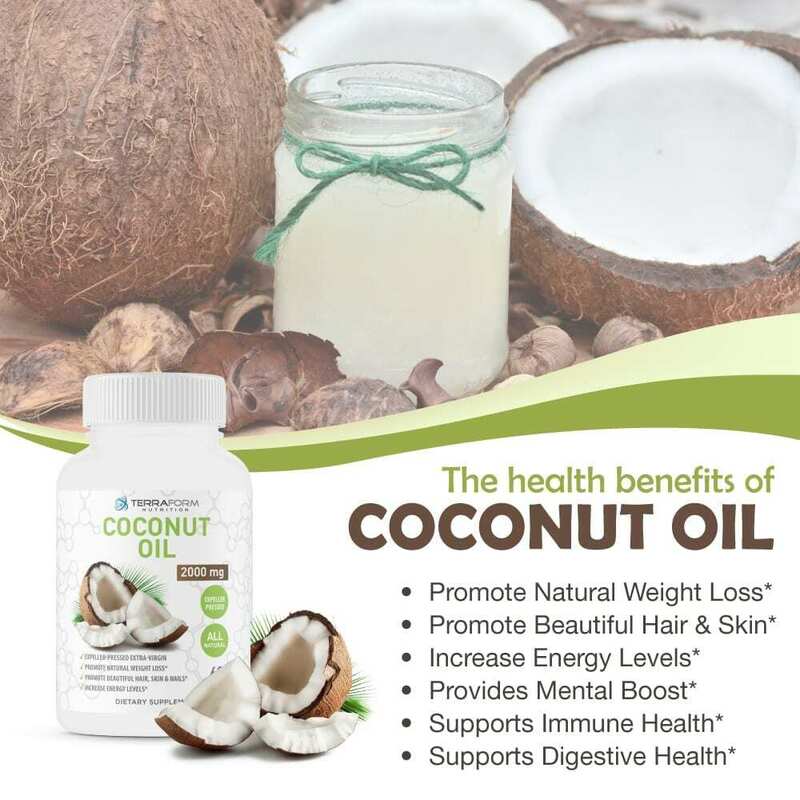 Apart from the healthy benefits to your cholesterol and weight, the natural fats in the coconut oil have been shown to help rejuvenate your skins moisture, helps keep your hair healthy and can reduce hair loss*. Coconut oil also contains a lot of natural antioxidants, which keeps your skin from wrinkling and can reduce irritation*. Made from extra virgin, expeller pressed coconut oil. Easy to swallow, 1000mg softgel capsules. 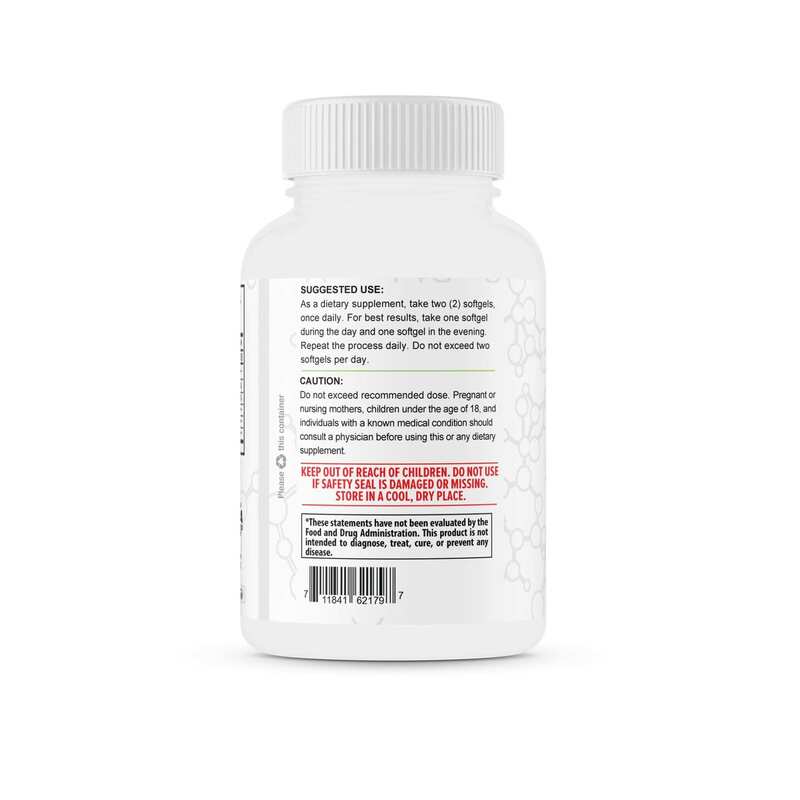 This supplement for both men and women of all ages (18+). Just 2 capsules a day is all it takes. 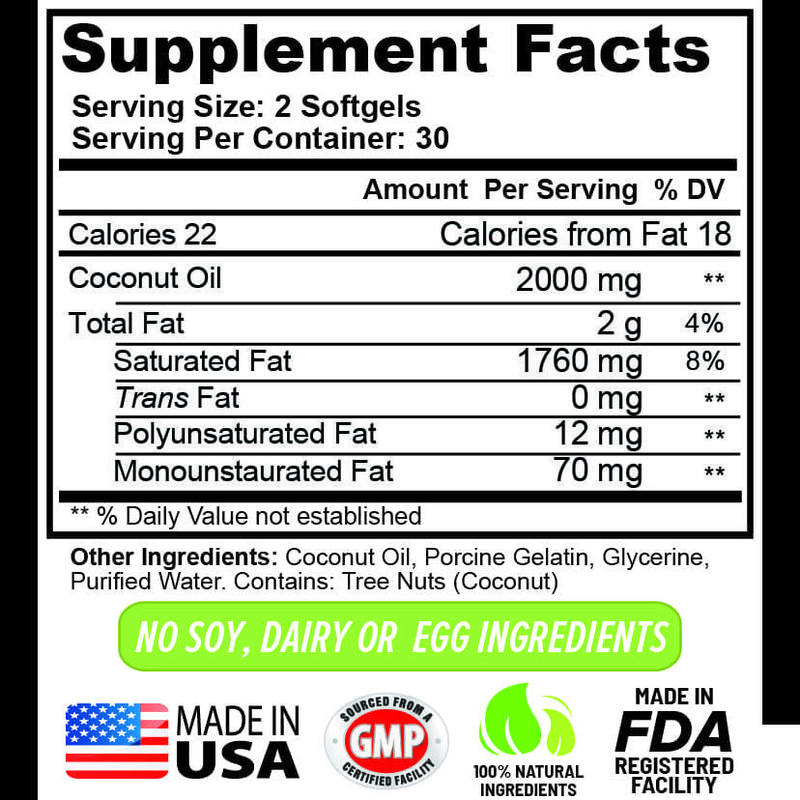 This supplement has NO GMOS, gluten, eggs, dairy or soy ingredients in it.